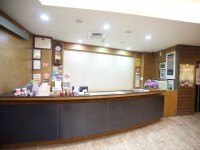 Located in the center of Hsinchu city, with convenience in transportation and airport services. Funhouse Hotel is a renovated and modernized hotel offering guests with intimate services. The hotel provides daily Japanese newspapers, and high-speed wireless internet connection to keep guests updated. The hotel has a variety of rooms, in order to provide guests with a safe and comfortable ambience, fire hydrants are inspected regularly. Guests may also enjoy refined meals at the bright, delicate ambience on-site restaurant. 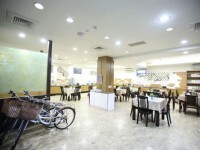 Among Hsinchu hotels, all guests will experience a comfortable and cozy accommodation stay at this hotel. No rooms available for Funhouse Hotel Hsinchu.